Well my first proper trip to Parndon Wood (SSSI) tonight from 7-10pm I set-up the 160w Robinson trap up and waited with baited breath. Mild with clearing skies as it was getting dark and lots of Moths about within 5 minutes, then it just got cooler and cooler and cooler and the moon came out...it did partially cloud over some time later but this did not raise the temperature anymore. 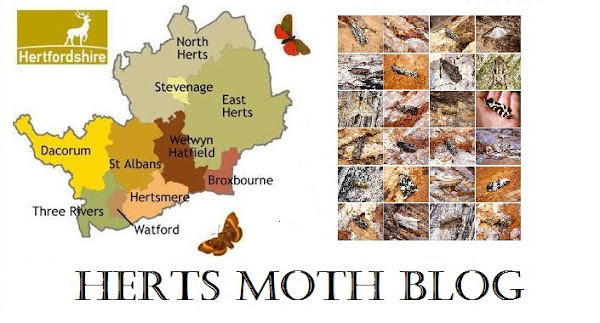 Very pleased with a good mix of Moths with new for year of Feathered Thorn and a welcome return of the Satellite. The Male Vapourer Moth was the real icing on the cake as you'll see in my previous post!